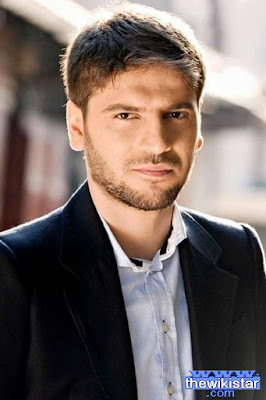 Sami Yusuf, a singer and songwriter, composer, producer and musician holds British citizenship, was born in 1980. Work: singer, songwriter, composer, producer, musician. Sami Yusuf was born in 1980, parents of Azeri origin. He fled to England to escape the Communist rule in their country. He studied at the Royal Academy of Music in London. Learning to play many musical instruments including piano, violin, tarred, Altumbak, Alsentur, tambourine and drum and lute and other instruments, and that was at a very early age. Teacher - my - wherever you are. Teacher - resort to my Lord - my mother - Otitni - healing - make me strong - Try not to cry - Monologues - Mohammed - Ya Mustafa - pray - my - my father. - In January 2009 invited Sami Yusuf by Roehampton University in south-west London to accept an honorary doctorate in recognition of his contribution in the field of music. Thus, Sami became the youngest recipient of an honorary doctorate in literature at the University of Roehampton, where she presented him at the age of 28. - Got the best singer in the Arab world Islamic certificate.